What do gardeners give as gifts? 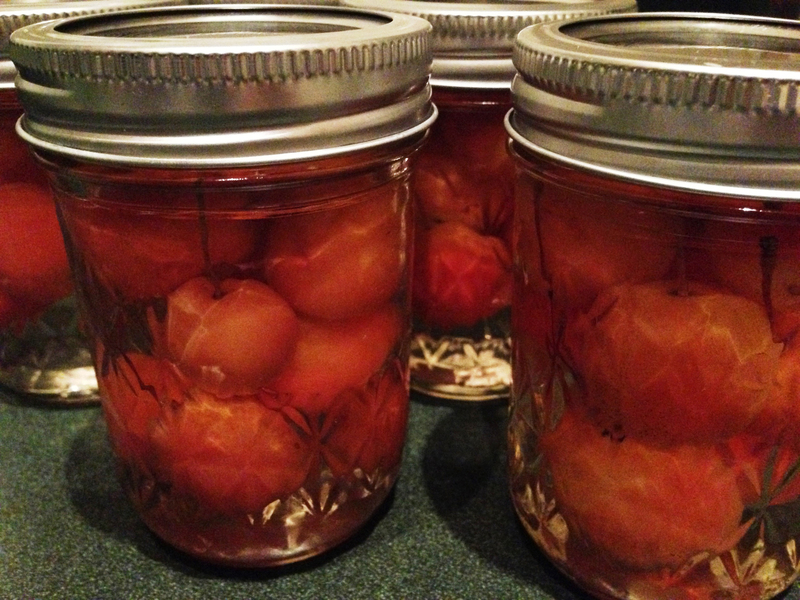 Crabapple and quince preserves are joined by end-of-season pickled green tomatoes. Lucky Sarah Paar (coordinator of flower shows). She keeps six Plymouth Barred Rock chickens, all black-and-white and gorgeous, at the suburban farm where she lives. She’s saving the four to six eggs she gets every day and handing them out as precious gifts, perfectly presented in a green berry box softened with raffia. 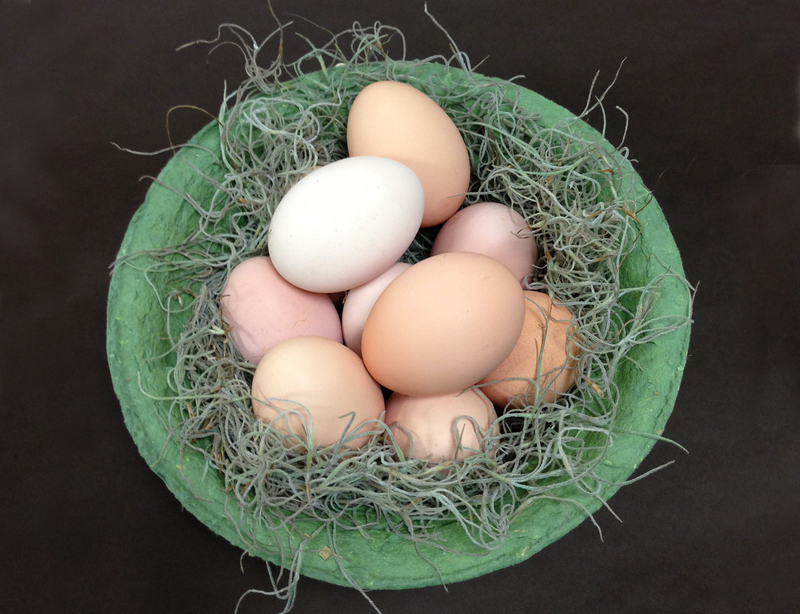 Not just for Easter: Plymouth Barred Rock hen eggs are this season’s gift, too. Boyce Tankersley, director of living plant documentation, gets the most out of the fruiting vines and brambles in his suburban yard, creating beautiful, jewel-toned vodkas (black currant, blackberry, Michigan peach, and Moroccan mint), and syrups (elderberry and peony blossom). 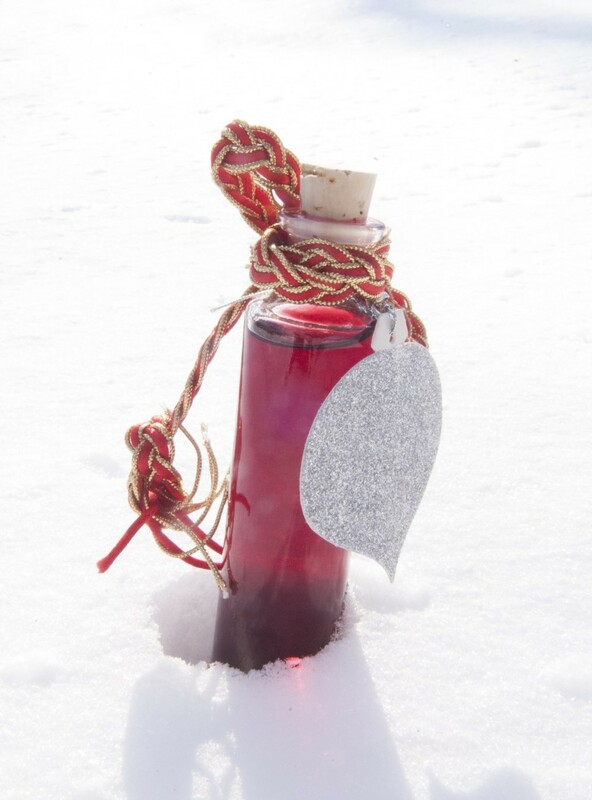 Homemade infused vodkas are as beautiful as they are flavorful. 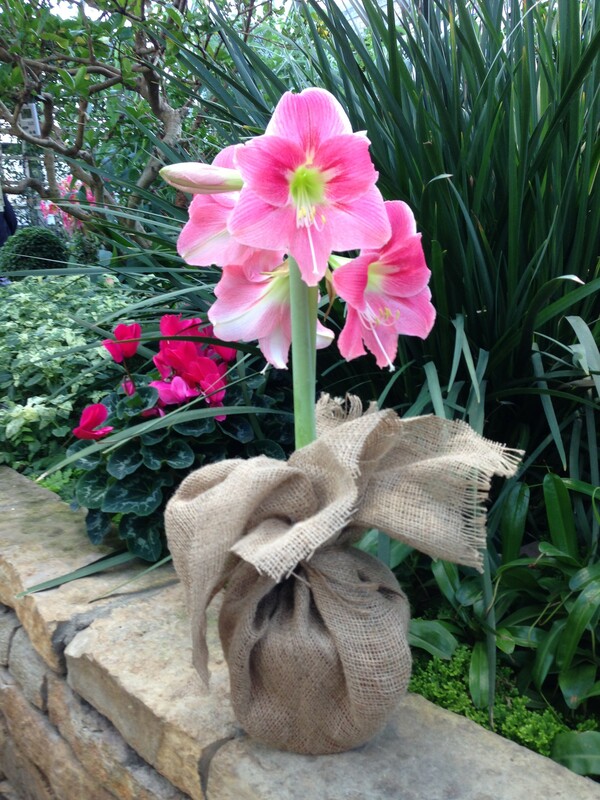 Teachers, neighbors, and far-off friends are receiving amaryllis bulbs this year, complete with pot, lightweight soil mix, and growing instructions from Stephanie Lindemann, manager of horticulture events. With care, amaryllis will repeat the show next year. This long-lasting pink and coral beauty is Hippeastrum ‘Amalfi’. Amaryllis (Hippeastrum ‘Amalfi’) make great “repeat” gifts. Hold one of Clare Johnson’s bubble bowl terrariums in your hands, and you can sense the horticultural therapist at work: each terrarium is a perfectly shaped jewel, fresh and green and carefree enough to leave on your desk all winter, with little care required. 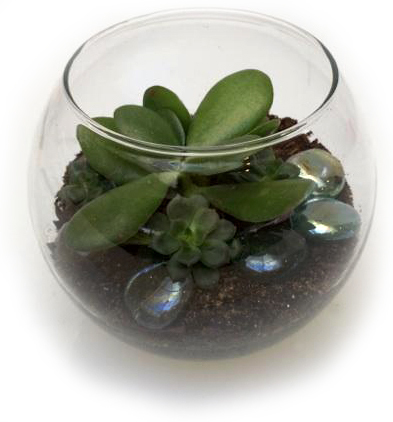 Bubble bowl terrariums are filled with dainty succulents. Filled with lavender from her garden (plus a bit from the neighbors), Lynn McKay Ledford’s wool felt and cotton sachets can scent drawers, shelves, and suitcases for many months. Feel free to compliment Lynn on her sweetly modern design next time you see her at the Information Desk at the Visitor Center. 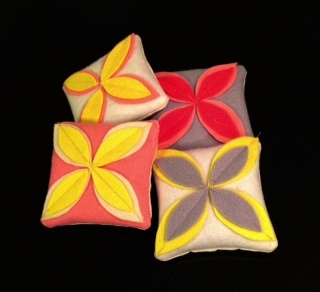 Wool felt and cotton sachets are filled with fragrant lavender. As outdoor floriculturist, Tim Pollak has a deft and knowing touch with plants—which shows in his fresh ideas for host/hostess gifts or centerpieces. Simply arranged, stemmed greenery looks elegant in a clear vase filled with cranberries and water. Fresh fruit looks like the luxury it is when it’s hand-arranged and nestled into a simple, raffia-filled box. 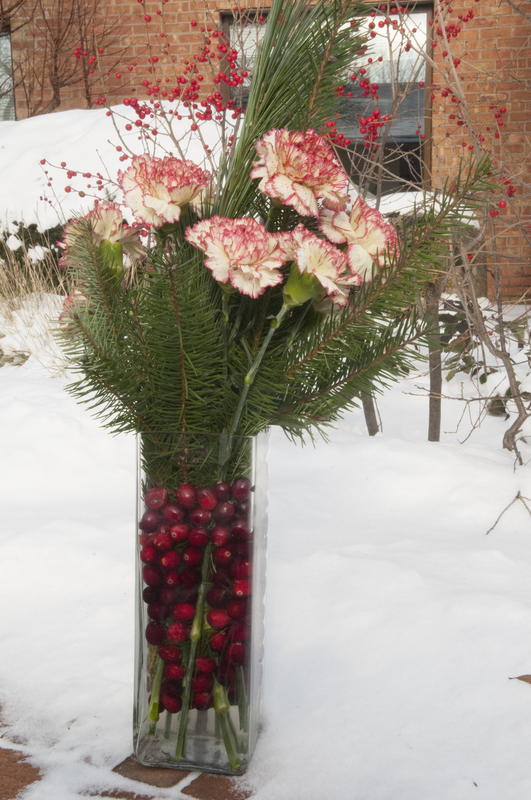 This colorful and long-lasting arrangement includes evergreens, carnations, and cranberries. 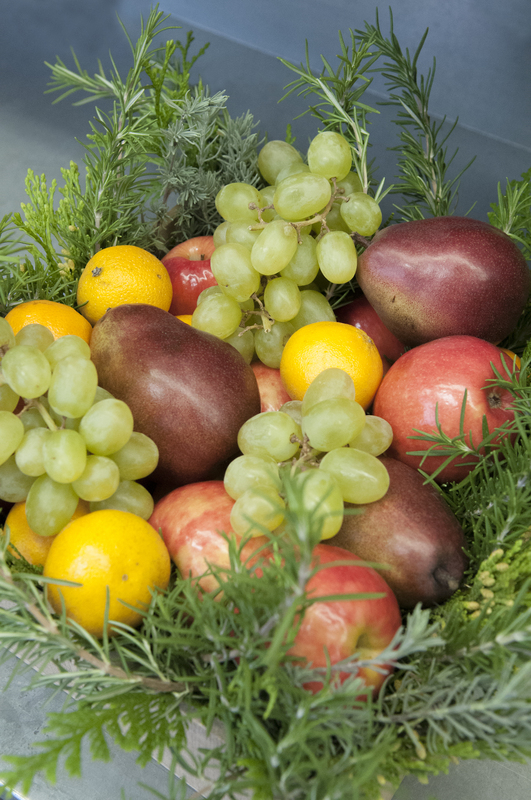 Fruits are arranged on a bed of fragrant rosemary for this simple seasonal basket. Fond memories of her family’s Iowa farm inspired horticulturist Lisa Hilgenberg to follow her Grandma Agnes’s easy recipe for crabapple pickles (leave the stems on!). An extra handmade touch: cards decorated with leaves from daily walks in her neighborhood this fall. 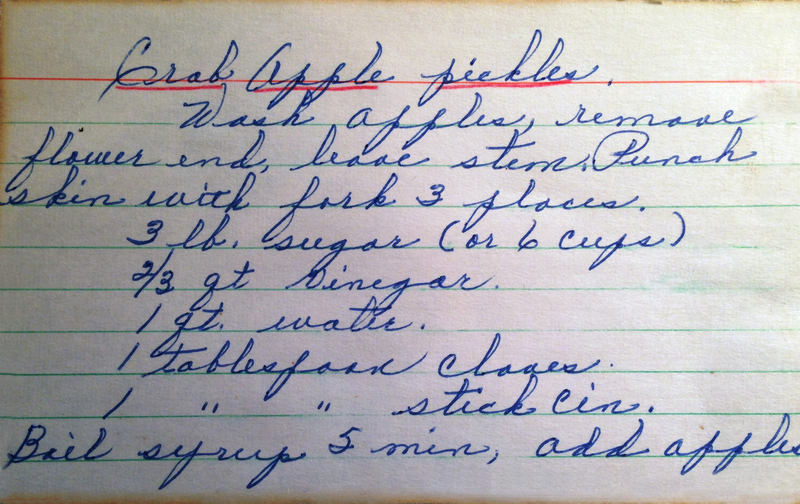 Grandma Agnes’s original pickled crabapple recipe—a family heirloom. So bountiful was the apple harvest at the Garden this year that staff was invited to help harvest—and to take home a box of the fruit. 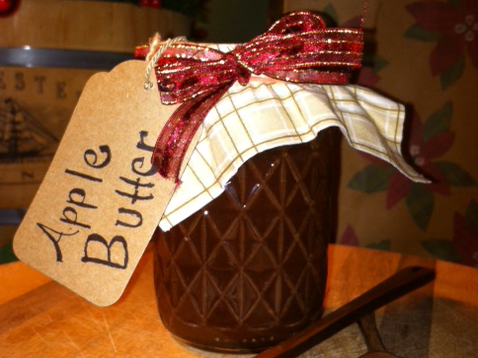 Assistant horticulturist Leah Pilon turned the opportunity into a sweet treat: wonderfully smooth and flavorful apple butter to give as holiday gifts. 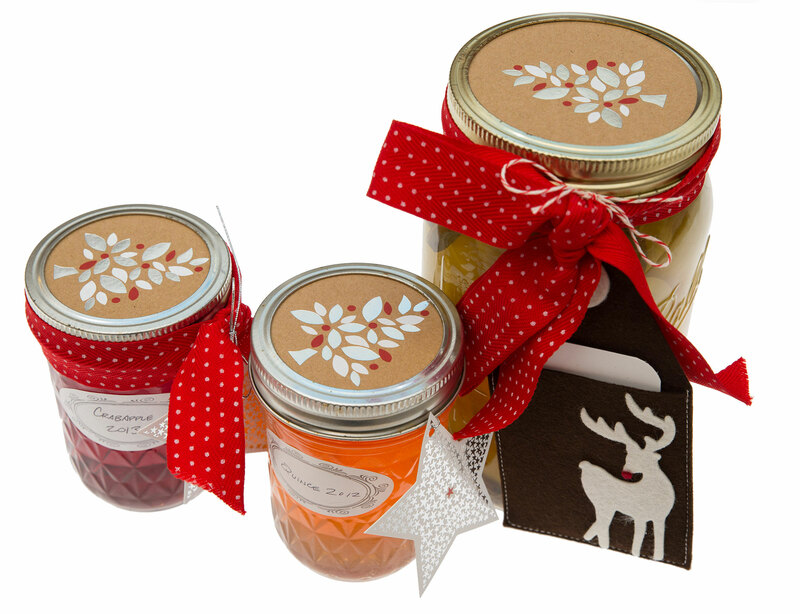 Leah Pilon’s homemade apple butter even has a handmade tag. It took customer support manager Karen Angel four to five hours each to hand-crochet cozy cotton/wool neckwarmers that she’s gifting friends and family with this year. An interesting stickpin or piece of jewelry serves as a “close” to each piece. 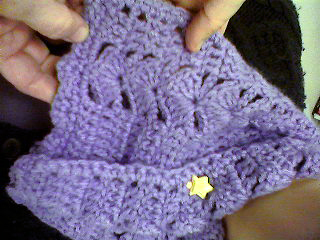 A stickpin holds this beautiful crochet work in place. 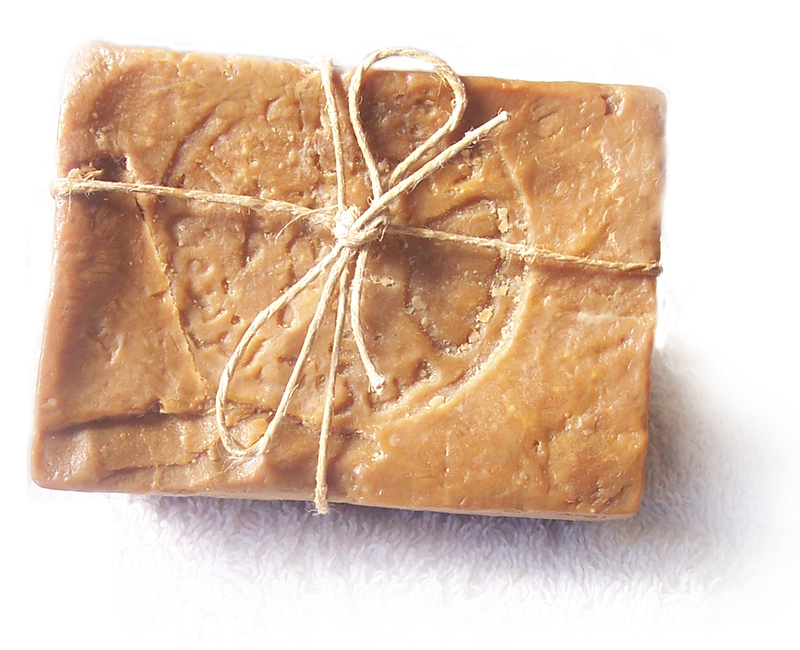 Handmade soaps delight the senses. Like many handcrafters, economics drove exhibitions manager Courtney Quigley to teach herself how to make candles and soaps when she was in college: “I was young and broke!” she explains with a laugh. Her deliciously flavored soaps (scented with coffee beans, cocoa, ginger, or orange slices) and soy candles are, of course, all natural. Gabe Hutchinson documents “the year in review” in photo albums. For many of our staffers, gardening isn’t their only passion. Assistant horticulturist Gabe Hutchison is also a terrific photographer, who’s turned the notion of “family photos” into a deeply personal, meaningful effort. 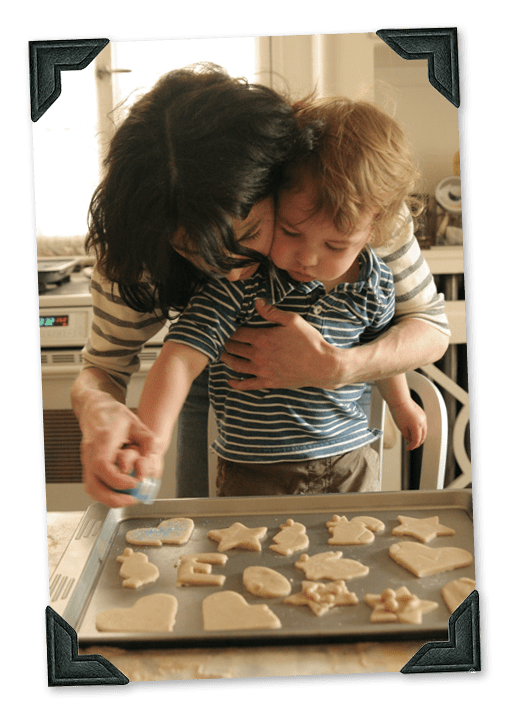 Each Christmas he begins a year-long series of photos of his son, documenting family occasions, visits, and everyday life. As the next Christmas nears, he assembles the past year’s work into a handmade photo book for each grandparent (and a few lucky relatives), documenting the family’s interactions with his son, and presents those precious books as gifts at the holiday. Previous Previous post: Youth Farm celebrates double digits!